If you Google anything relating to “date night” or “most romantic restaurant” in Chicago, you’ll find one name that finds itself on all of these lists: GEJA’S CAFE. 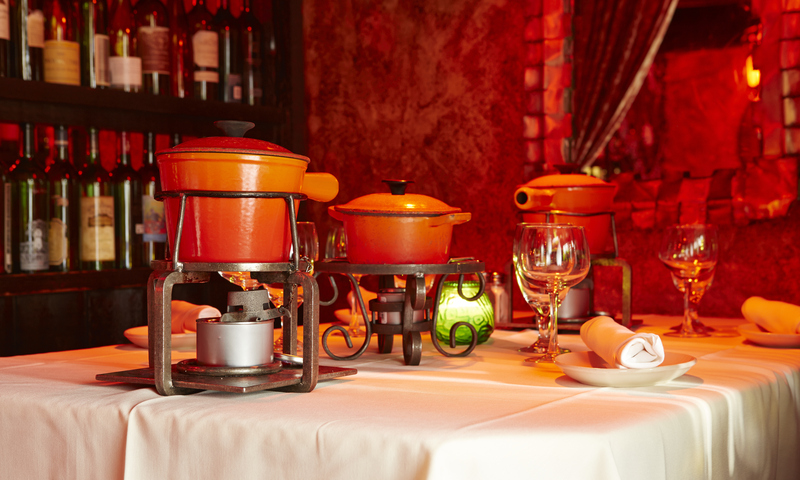 It’s all about the fondue in cozy romantic lighting, with live classical guitar music in the background. Even if you haven’t been yet, you’ve heard about it as the go-to spot for a special evening with your loved one(s). 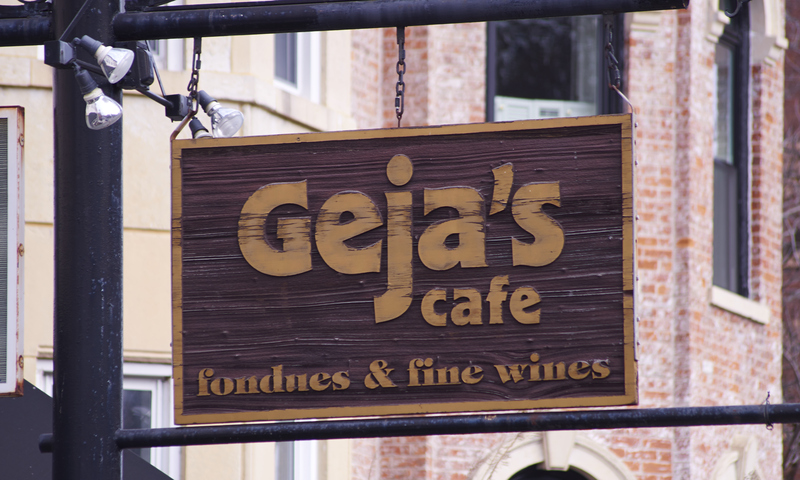 Geja’s Cafe has been a mainstay in Lincoln Park since 1965, and couples, families and groups of friends have been flocking to this quaint restaurant ever since. 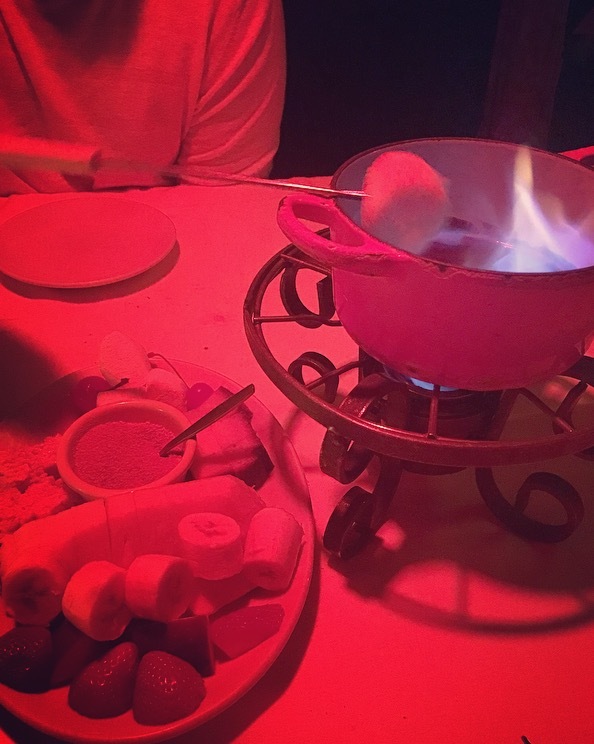 I chose Geja’s Cafe for date night, where the boyfriend and I shared our first fondue dinner experience together. 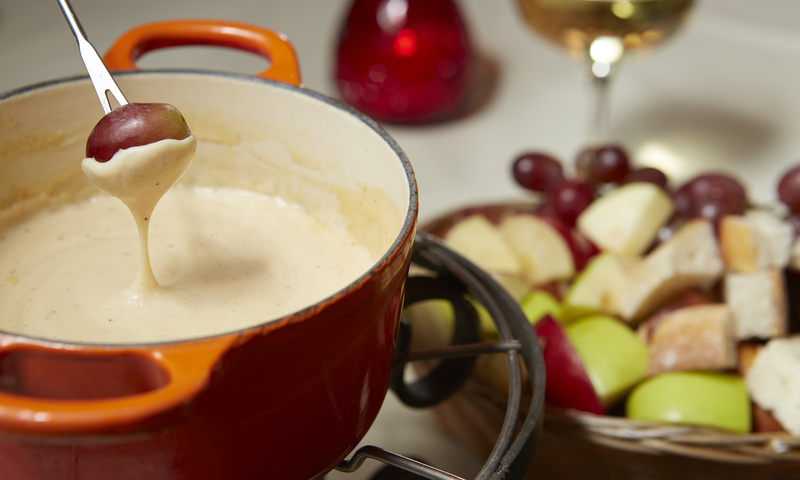 If you’ve had fondue before, you know that a full fondue dinner comes with a starter cheese fondue course, and ends with a chocolate fondue course. 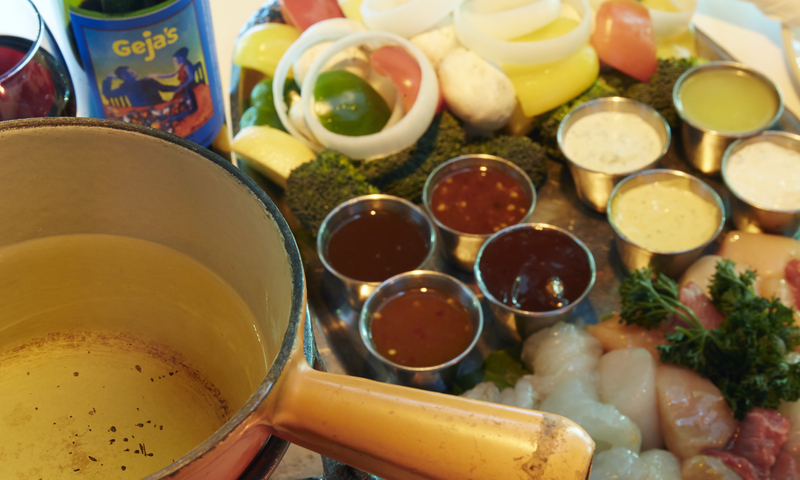 In the middle, you choose your entree course – seafood, meats, veggies. ENTREE COURSE | Connoisseur Premier Dinner which included aged beef tenderloin, jumbo Gulf shrimp, and succulent lobster tail. The dessert course was a hit with the boyfriend. He loves s’mores and this course provided the goods to make some delicious s’mores on a skewer. I LOVED the pound cake dipped in chocolate. Simple, decadent and a perfect sweet ending to the meal. I will say that the full fondue dinner is a great special occasion meal. It’s interactive, romantic and fun! If you’re looking for something smaller, or aren’t as hungry, I’d definitely suggest going with a Cheese & Chocolate fondue set. It’s a good savory/sweet combo that will still give you a wonderful fondue experience.